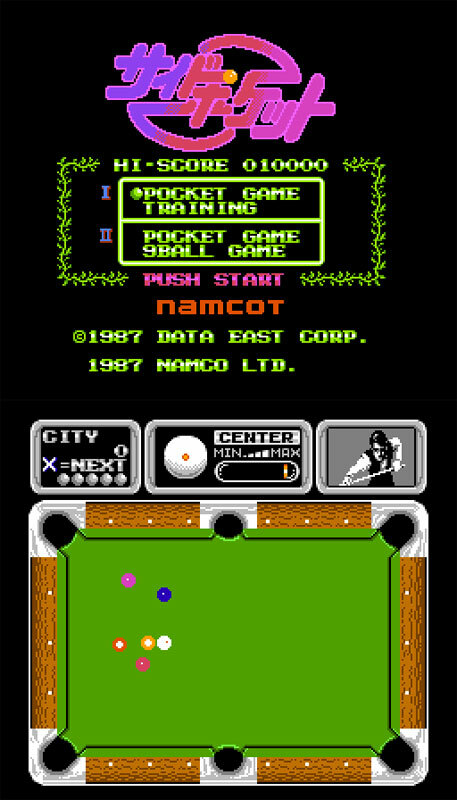 Nothing too flash: the Willy Thorne of the pool genre. Not that it doesn't dazzle at times and its not just the glare off the hot spot, but the fine ball mechanics. 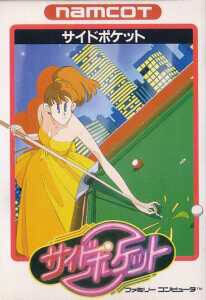 A very accomplished Famicom table game. Second hand. Complete with registration card. Includes Namcot game catalogue and full sticker sheet, though hey have creasing at the base.